Below is a guest blog post composed by Nicole Jarjura, Patient Navigator for Early Detection Colorectal Cancer Screening at CHC. As we all well know, October is National Breast Cancer Awareness month, and is marked as a time when individuals, businesses, health care organizations (and even the National Football League) come together to promote awareness of the disease in many different ways. Some walk, some fundraise and some wear pink. CHC’s Early Detection Program would like to encourage all Middletown & Clinton CHC employees to WEAR PINK on THURSDAY, OCTOBER 18, to show our support and promote breast cancer awareness. EDP will also be setting up a Pink Ribbon station, from 10am-2pm, on the 2nd and 3rd floor reception areas of Middletown, where our patients and their families can make their own pink ribbon to wear and show support. Clinton will also be heading their own Pink Ribbon station in their main reception area to raise awareness and promote early detection. • 1 in 8 women will be diagnosed with breast cancer in their lifetime. 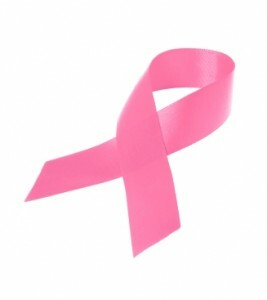 • The most significant risk factors for getting breast cancer are being female and getting older. • An estimated 226,870 new cases in women and 2,190 new cases in men of invasive breast cancer are expected to occur in the U.S. during 2012. • Breast cancer is second, only to lung cancer, in cancer deaths among women in the U.S.
• About 39,510 women and 410 men in the U.S. are expected to die from breast cancer in 2012. • One woman is diagnosed with breast cancer every two minutes, and one woman will die of breast cancer every 13 minutes in the U.S.
• African American women have higher rates of distant stage breast cancer than white women and are more likely, in the U.S. to be diagnosed with larger tumors than white women. • There are 2.9 million breast cancer survivors alive in the U.S. today – the largest group of all cancer survivors. • About 80-90% of breast cancers in women without symptoms in the U.S. will be detected by mammography. • Only 51.2% of women 40 and older in the U.S. reported having a mammogram in the last year.